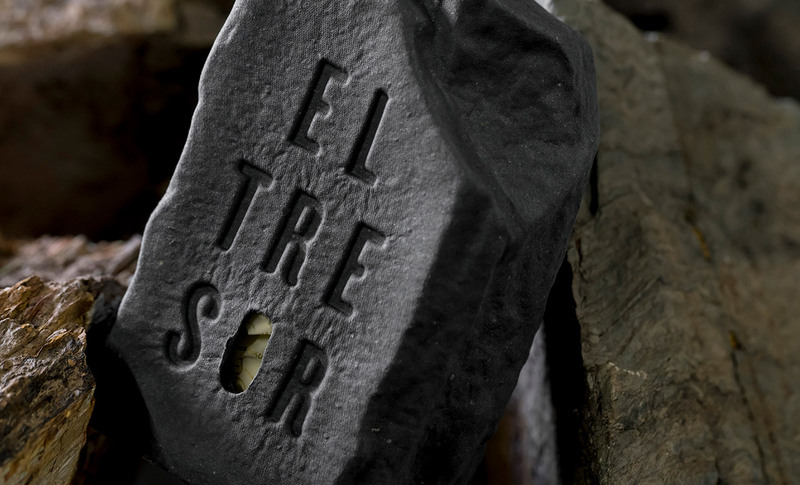 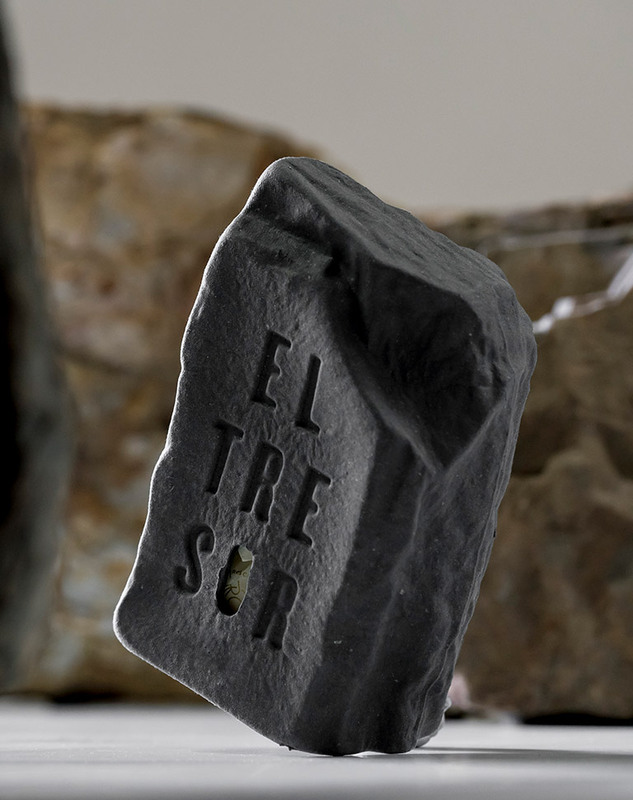 El tresor (The treasure). 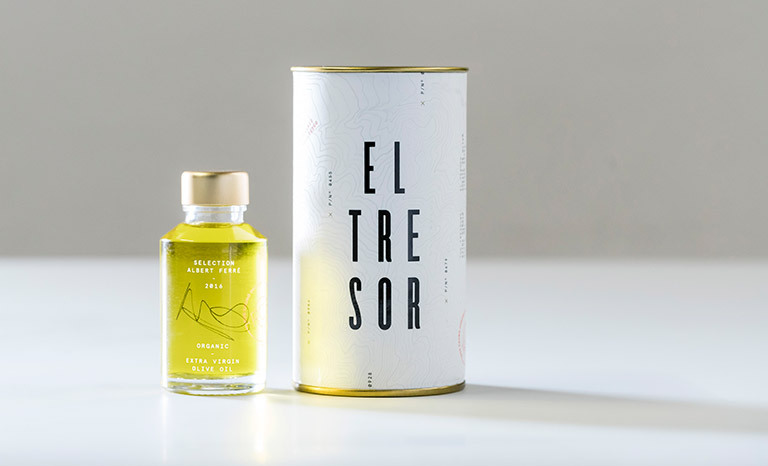 The best-kept secret of Set & Ros, the result of selecting the finest olives from the best olive trees to produce a superlative organic oil. 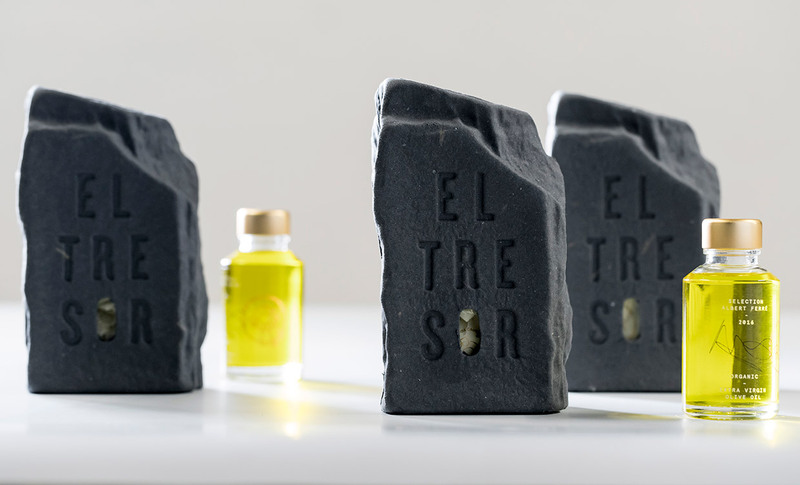 A product designed to be offered as an amenity for exclusive luxury hotels and resorts. 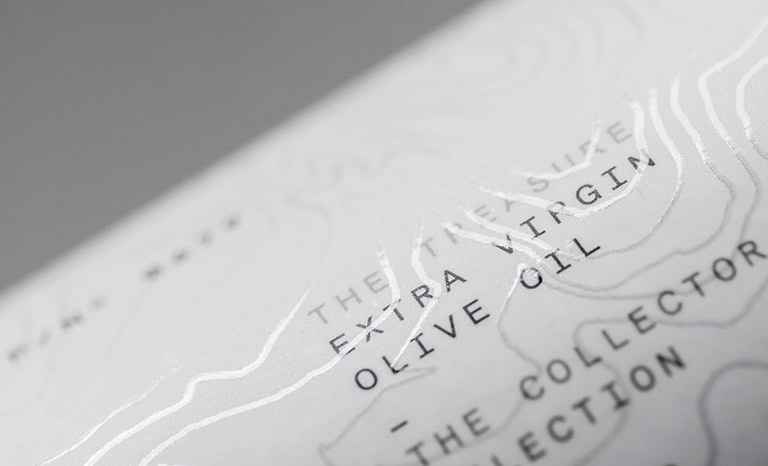 The challenge in this project was to give personality and exclusivity to a little bottle of 50ml of oil. 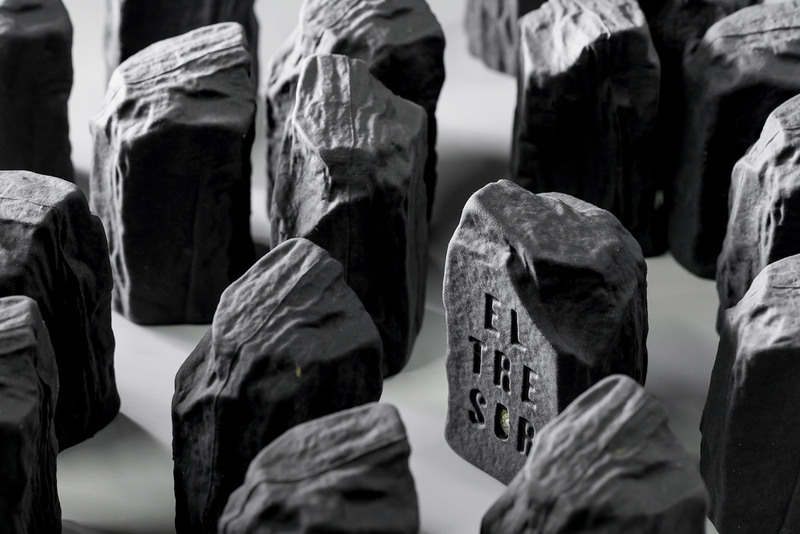 Creating a special piece that narrated a story and that remains in the memory of the customers. 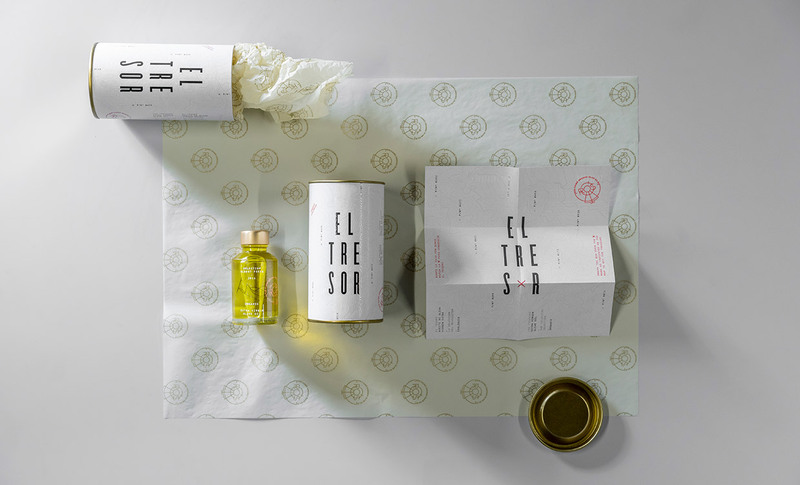 With these premises, we have created an ephemeral packaging, which must be destroyed to enjoy its content, which requires the consumer's effort to finally get the final reward, the best organic oil from Set & Ros. 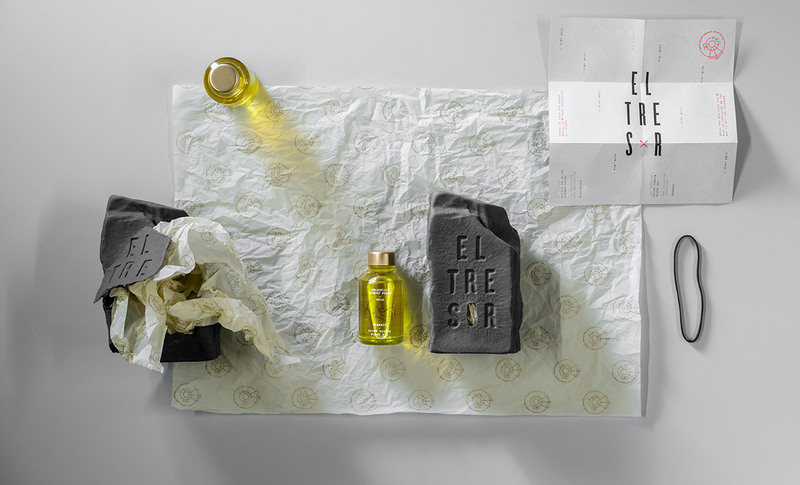 The packaging shape comes from a real "llicorella", a type of slate stone native to the Mediterranean lands where the olive trees grow. 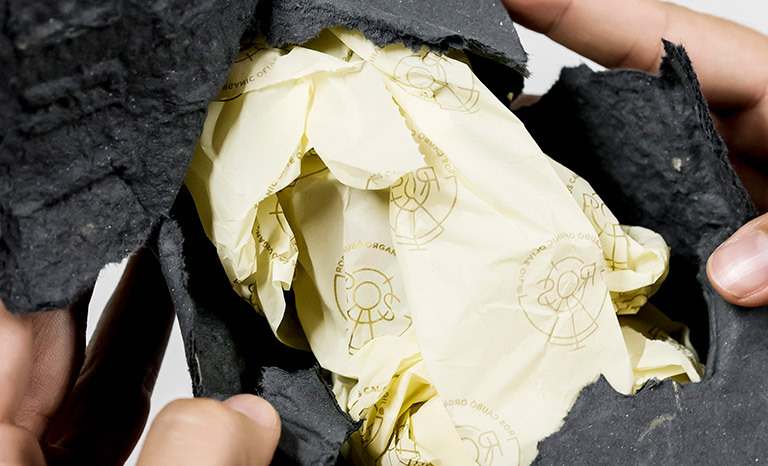 It was produced with recycled paper pulp, an ecological material that transmits roughness but at the same time, it can be shattered easily to open it, mimicking the action of digging the soil. 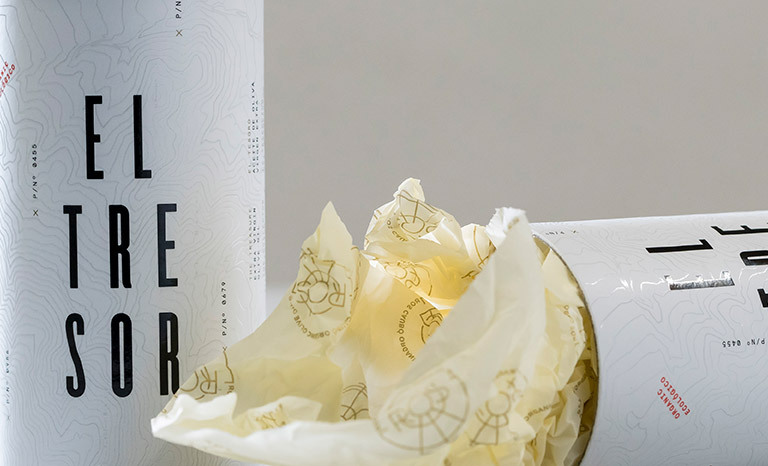 On the inside, a silk paper wraps the glass bottle, with bright and golden tones that gives contrasts with the previous phases of the unboxing. 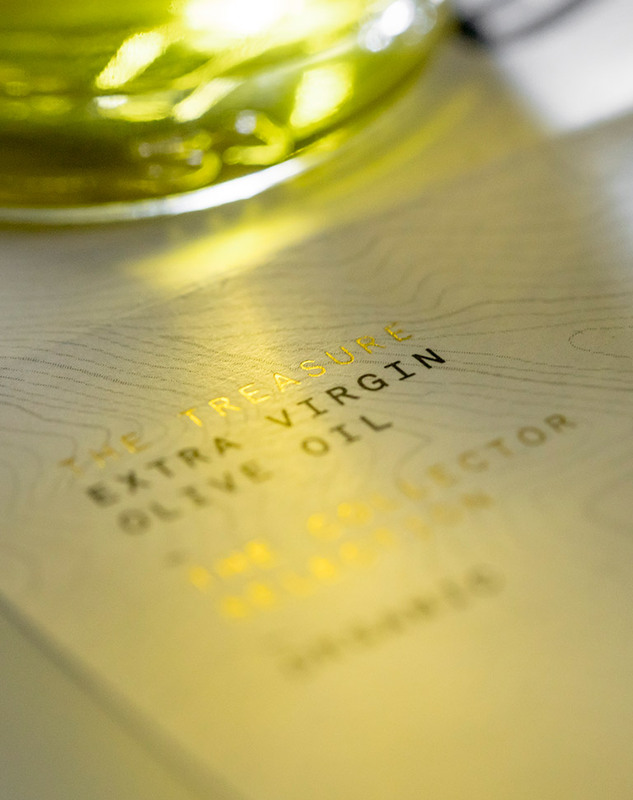 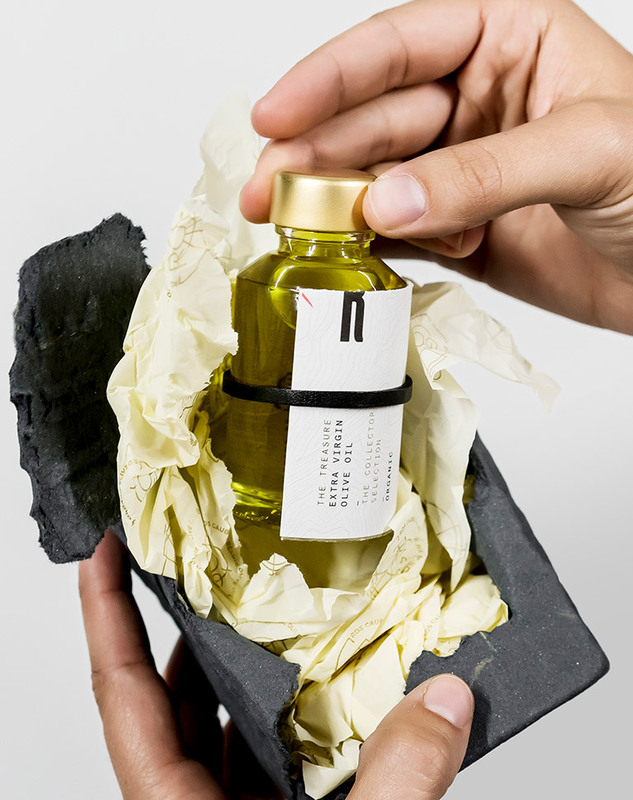 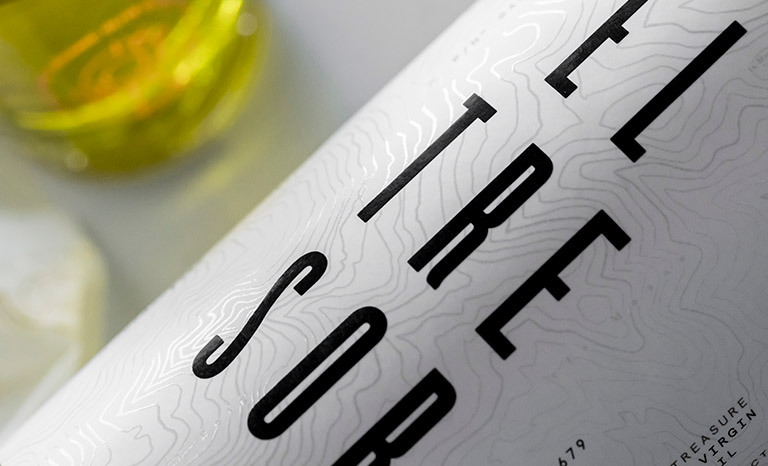 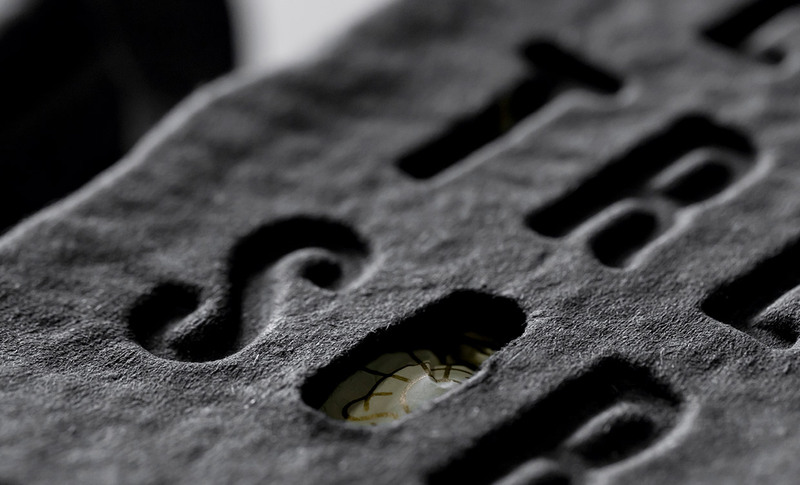 On the bottle, there is an explanatory mini book attached with a rubber band, which emphasizes the idea of a treasure using a topographic map of the area, that marks the estate olive tree lands in a decorative way. 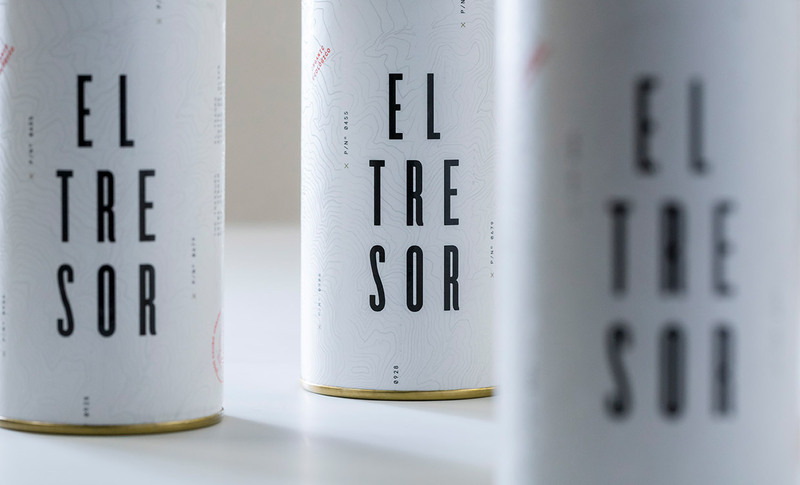 We also reinforce the idea of a quality product with the contrast between a porous paper and the use of golden foil stamping.